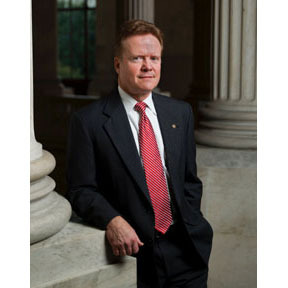 During debate on the National Defense Authorization Act for Fiscal Year 2013 on Tuesday, Sen. Jim Webb (D-Va.) reiterated his concerns about using funding intended for operations, maintenance, and acquisition programs to expand biofuel research-and-development (R&D) programs in the Department of Defense. Webb emphasized the importance of re-evaluating each DoD program to determine its value in the context of national security as well as current and future fiscal realities. Webb pointed to the dramatically reduced size of the Navy, which is down to 287 operational combatant vessels. During Webb’s tenure as Secretary of the Navy in 1987-1988, it had up to 568 combatants. Webb has said that private industry and the Department of Energy should lead the effort to develop our nation’s biofuel production capacity. Webb has also supported the Department of the Navy’s operational proof-of-concept demonstrations and technical certifications to incentivize investments in the facilities necessary to produce biofuels that are competitively priced in sufficient quantities for use by the military.